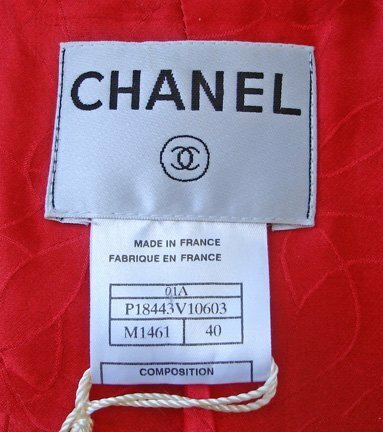 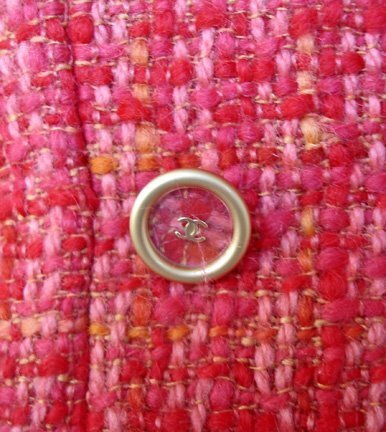 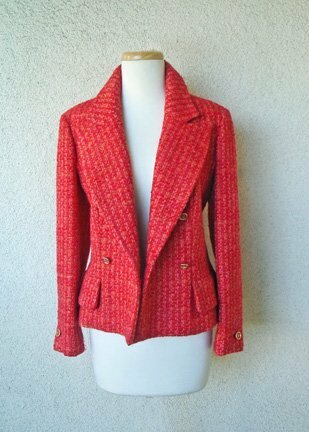 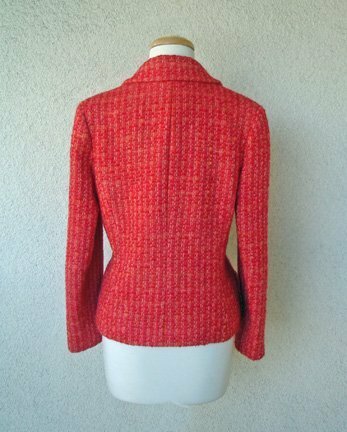 Chanel orange multi boucle wool double breasted jacket. 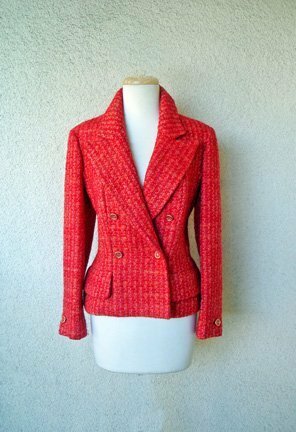 A classic tweed jacket impeccably cut and ideal for pairing with jeans, leathers, etc.. for work or play a timeless classic and a functional addition to your wardrobe. 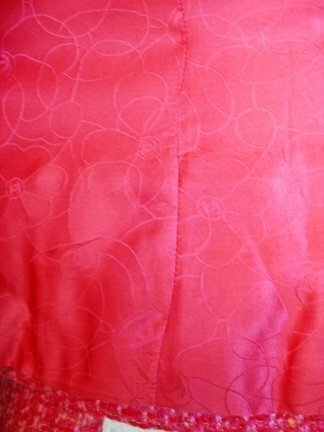 Features goldtone trimmed clear lucite buttons with "C" logo; silk charmeuse camelia print lining; 2 lower flap pockets; and signature chain hemline. 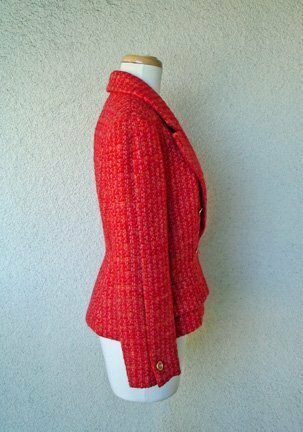 Size: 40: bust: to 36"; waist; 33"; length: 25 1/2"; sleeve: 23 1/2"; shoulder: 15"